Let the fire sign of Leo light up your life. Put your creative expression at center stage. 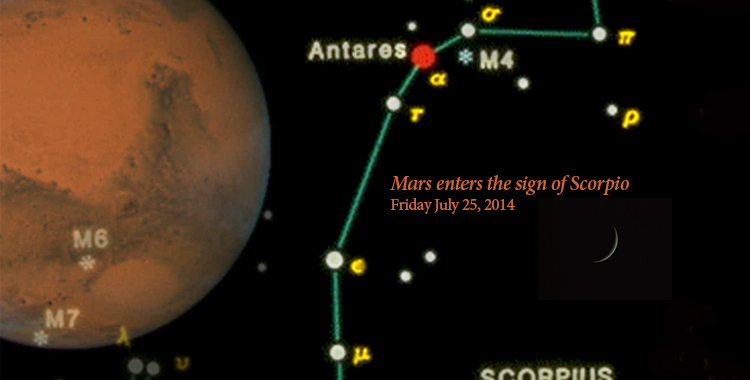 July 25 – Mars enters its ancient ruling sign Scorpio in the Dark of the Moon. Don’t allow the fiery energies of Mars and Leo to clash or get out of control. Or (at least) visible in the distance? If it’s not visible, envision it. Begin your process of moving forward—the time has come! Cathy Coleman. In the Stars July 20-27, 2014…Shining light on the astrology of the week: New Moon. http://en.wordpress.com/tag/cathy-coleman/. July 20, 2014.